There are not many people with the skills and talent to become a music teacher. There are even fewer who also have bilateral cochlear implants. Laima’s love of music started at a very young age. But when she lost her hearing due to encephalitis, her doctors told her she would never play piano again. 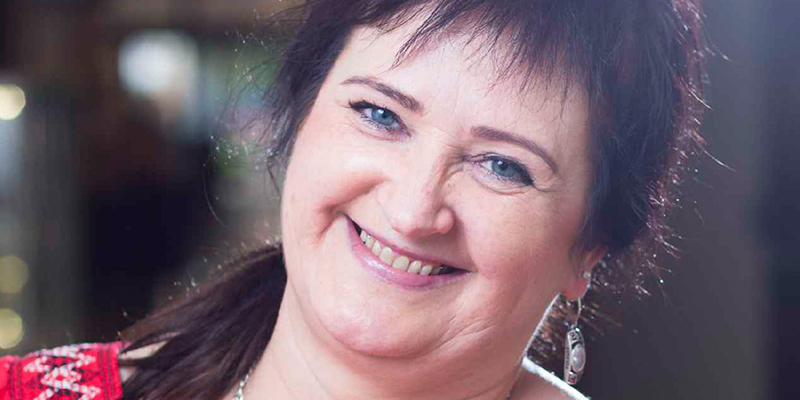 In this inspirational story, find out how Laima’s cochlear implants enabled her to pursue her dreams once again, and continue the career she was born to do. My name is Laima Jakaitė. I’m 48 years old. I’m originally from Lithuania, but for many years now I’ve lived in Iceland. Music means everything to me. It’s connected to experiences in my life, it’s my good and bad emotions, the joyful and sad times I’ve had. I had a period in my life when I was tired of music and I was not sure if it was the right path for me. But when I received cochlear implants, I started to play again. I worked hard at my piano every single day until suddenly I realized that I was falling in love with music again. I want to tell you my story —about how my life changed when I lost the ability to hear, and how I live now using MED-EL cochlear implants. I really enjoyed music from my early childhood. I always heard it at home: my father used to play violin and double bass, and my brothers studied at a music school. While I was listening to the music they were playing, I would try to hear all the notes and repeat them on the piano. The very first song that I could play was “The Cat’s March”. When I was 8 years old, I began piano class. At first, it was hard for me to understand that I have to play from sheet music. It was easier for me to play music by ear. My first piano teacher was a wonderful person who taught me to read musical notes and I realized that music consists of small characters on lines. As I got older, I continued to study music at the Art College of Žemaitija in Lithuania, and then later at university. Here I discovered a new field of music: folklore and ethnoculture. I find it very exciting to analyze how music has played a role in human lives—as human lives change, music changes. After graduating as a music teacher, all my work in Lithuania was related to music. I worked at the Degaičiai Ethnocultural Center as an art director, I organized concerts, and worked with music projects. I played and sang myself, and at the same time headed art collectives. Later on, I became director of the Ethnocultural Center. In 2007, I moved to Iceland. People often ask me why I decided to leave Lithuania, and why I changed my musical job to a simple worker life in the country. Just at that moment, I was not satisfied with how the cultural work policy in Lithuania was being carried out. That’s why I decided to move away to Iceland. I’ve lived here for 11 years now, and there has not been a single day when I’ve regretted moving to a foreign land. Now I call Iceland home. Six years later, I had another life-changing moment. I was diagnosed with encephalitis in my brain—as a result, I completely lost my hearing. It was the hardest period of my life. I was in complete silence. At that time, I could not even cry because all the pain gripped my throat, and to be honest, I was just afraid to cry. I was afraid that I would fall apart. I asked the doctor, with the greatest hope and faith, whether I would ever be able to play and hear music. Unfortunately, the doctor’s verdict was that I would never hear music again. It was really hard to take this news, but I still I had strong hope that I would be able to make music once more. Before I lost my hearing, I didn’t know anything about cochlear implants. But my doctor told me all about them, and explained that they would be the only way for me to hear again. So I began to research cochlear implants. It was especially important for me to know if it was possible to hear music with them. I read what people were saying about MED-EL, talked it through with my doctor, and decided that they were the right implants for me. The hardest period for me was between losing my hearing and getting cochlear implants. I lived in silence. I learned to read the words from other people’s lips. I could only communicate with the doctors by writing things down on paper. I was writing them questions, and they wrote me the answers back. Step by step, I improved my hearing after each visit to the audiologist and speech therapist. I am very grateful to the doctors of the Institute of Hearing and Speech Therapy in Iceland. They were the main people who encouraged me not to lose hope, and to work hard to listen and play music again. Their consistent work with me, using the latest technology, has brought me back to the world of sound. From the day when I got my cochlear implants, I realized that playing the piano and hearing a melody wouldn’t be an easy thing to do. I could only hear a loud noise while playing, I could not understand the melody itself. I was playing the pieces I played before losing my hearing. I would hear a melody at the beginning, but after a few bars it disappeared again. I played the same music again and again and again. I played everything lower than it was originally written, because I heard the lower notes more clearly. Later on, once I started to understand the melody, I would play the piece as it was meant to be played. But I hardly heard any harmonies. It was really difficult to know whether the piece was in a major or a minor key. It was really hard constantly working with myself and my new hearing. But just three months after implant surgery, I found I could hear what I was playing on the piano. Exactly at that time, Rangæing Music School, near the place where I live, was looking for a piano teacher. I decided to apply. They gave me the opportunity to try and I started to work there as a piano teacher for a trial period. That was four years ago, and I am still working there today. I have 13 piano students now, and two groups of children that I teach in primary musical education. It was difficult at first, but today I can strongly confirm that music is the best rehab for people like me, who are learning to hear with their cochlear implants. Today, I can hear whether a piece is in a major or a minor key. I hear harmonies, and both the low and high notes. I write simple arranged music pieces for piano and other musical instruments. I can even play new pieces that I have not heard or played before. Often people ask how I can work as a piano teacher in a music school, if I’m completely deaf and hear only with cochlear implants. Before, I sometimes wouldn’t tell people where I worked. I felt shy, I didn’t feel comfortable. I was asking myself the same thing all the time: how can I hear and play music? So I went looking for information about people who have lost their hearing but can still play music. And I found a story about a woman from Great Britain, who also has cochlear implants and plays the piano. She told me about the Beats of Cochlea music festival in Poland, which is exclusively for musicians who use hearing implants. It was my dream to play there. And it came true when I was announced as the festival’s laureate. Beats of Cochlea is a unique opportunity to show the world that people with hearing loss can not only hear again with implants, but can hear music and can sing. I still can’t express in words what it felt like to play on a professional stage, with hundreds of people listening to me. The festival gave me a greater confidence in myself, the confidence that I really can play music. My first thought after the concert was: If my dad could hear and see me now, he would be proud. Now I know that music is the right path for me. Now I’m not afraid to say that I am completely deaf and only hear with cochlear implants. Most importantly, I’m not afraid to say that I am a teacher at a music school. I will continue to educate myself, so that I can educate my students with the best musical skills and emotions that I can give them. I would also like to help other people with cochlear implants to hear music. That’s the next big dream and challenge for me. Thanks for sharing your inspirational story, Laima! Are you just starting out with the piano? Get some musical tips from 9-year-old cochlear implant user, Shiang-Tzu.